Dr. Gebbie attended college in upstate New York and earned a B.S. in Zoology. She received her DVM degree at Kansas State University and went on to complete a small animal rotating internship in upstate New York as well as an emergency and surgical internship at Ocean State Veterinary Specialists in Rhode Island. 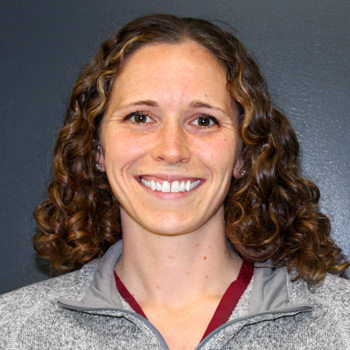 Her clinical interests include trauma, toxicology, and soft-tissue surgical emergencies. Outside of work she enjoys hiking, snowboarding, and training for marathons. She shares her home with her Pharaoh hounds Kaiya and Kenzie as well as her cat, Coco.